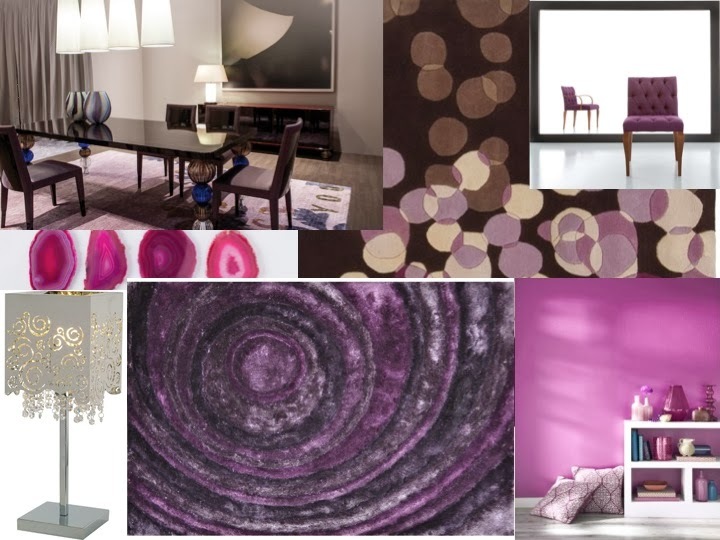 Furniture Maven: Radiant Orchid is the new black! 3rd Generation Furniture Genius: I am here to share my innate knowledge and love of the dynamic furniture, fashion & design industry. Radiant Orchid is the new black! And the Pantone Color of the Year for 2014 is…… RADIANT ORCHID! When deciding how exactly you can or should incorporate this color into your home, there are a few things for you to consider, such as whether you want to subtly introduce it or take it to the next level. You also may want to banish the preconceived notion that it only belongs in your daughters room! You would be surprised that this color is the perfect balance of playful and sophisticated and fits perfectly in any room in the home.You can go large by choosing it for a main focal piece like an upholstered sofa or sectional or ease into it with smaller accents like a painted wall and accessory pieces like area rugs, lighting or pillows. Whichever way you choose to implement it, we feel this uplifting color will bring joy to you and your loved ones at home whenever you encounter it. 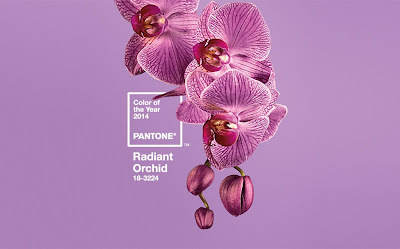 Radiant Orchid has a combination of confidence and magical warmth that is eye catching and ignites the imagination. It is an expressive, creative and embracing purple that will draw you in with its charm. With a combination of fuchsia, purple and pink undertones, Radiant Orchid emanates joy, love and health! Nothing more we can ask for in the coming year! Items pictured in mood board are available at Wasser's Exclusive Furniture & Interiors and ready to ship for the holidays! Get your hands on it* Top Left Dining table Jewel Dining Table by Costantini Pietro. Made in Italy. Top right, customizable dining chair by Costantini Pietro Decor Dining Chair. Made in Italy and available for special order in any color leather or fabric with select wood finish options in matte or high gloss. along with select wood finishes. Spruce up an area with either the Splatter Rug or the Glam Shag Rug both in stock and allows you to ease into the trend with smaller accents. The Lattice Table Lamp is a great accent table light to sparkle and glimmer in a room or accent wall painted in the fabulous radiant orchid. If you'd like any personal suggestions of ways to add some radiance to your home, feel free to email the Furniture Maven directly to get personalized assistance! © Copyright 2012 Jaime Wasser. All Rights Reserved. Simple theme. Theme images by Hohenhaus. Powered by Blogger.